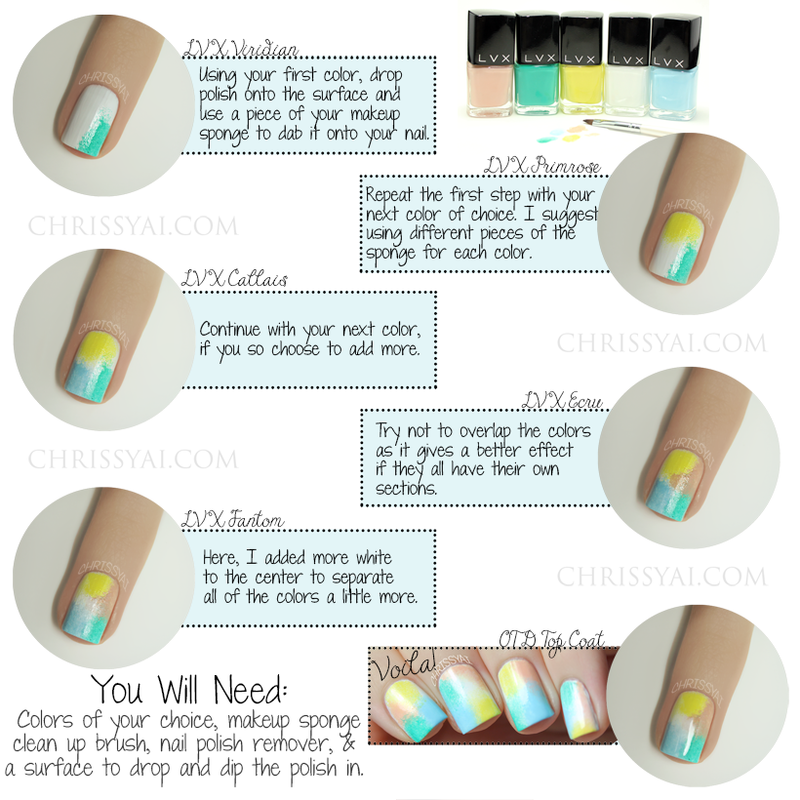 ChrissyAi: LVX Sponging Mani + Tutorial! LVX Sponging Mani + Tutorial! This post contains product(s) provided to me by the company. Great tutorial, Christa! So soft and pretty! Great Post!! Looking forward to more!! I’m following your blog on GFC, bloglovin and fb. Love the colours you used, fabulous mani!